The latest innovation in newsrooms is going back to basics by meeting and talking to readers, face-to-face. Huffington Post journalists are leaving their laptops behind to go out and listen to what readers really think. 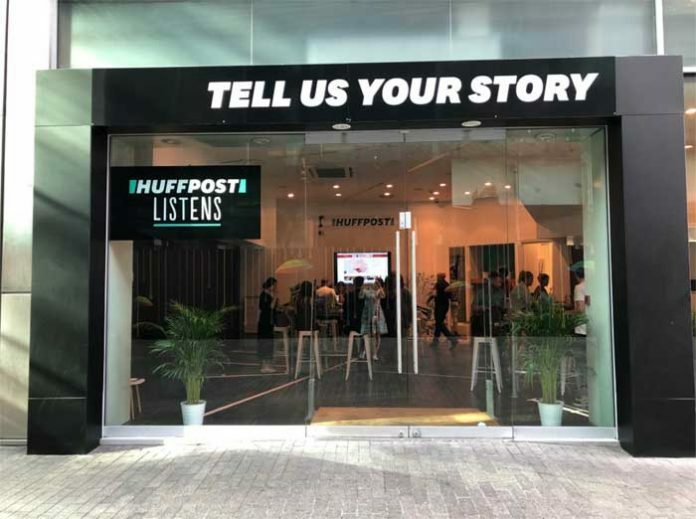 The digital news publisher is experimenting with temporary, pop-up newsrooms outside London to discover readers’ opinions and give journalists fresh takes on major stories. It recently relocated its entire 45-strong editorial team to the centre of Birmingham for a week. Head of news Jess Brammar praised the initiative as “one of the most rich, story-getting newsgathering experiences” of her career. The Huff Post’s US edition initially launched mobile newsrooms following the shock election of President Trump to tour 23 states and discover the real mood of the nation, which mainstream media seemed to have got wrong. For the 2018 US Midterm elections, the publisher will again embark on a Listen to America tour. The six-city town hall series will stop at Boise, Reno, Sacramento, San Diego, Phoenix and Boulder.